Have you been sneezing and coughing for weeks? Your persistent cold might actually be caused by an allergy. Luckily, the ear, nose and throat (ENT) doctors at West Coast Ear, Nose and Throat in Camarillo, Oxnard, Simi Valley, and Thousand Oaks, CA, offer treatments that can ease your symptoms. But I've never had allergies before! Allergies can occur at any time in your life. No one is sure exactly why allergies develop when they do, but the unpleasant symptoms can affect you whether you're 10 or 45. Allergies occur when your body overreacts to a normally harmless substance like pollen or pet dander. Your body releases antibodies that begin to attack and destroy the substance. Unfortunately, this response tends to cause sneezing, watery eyes, hives, nasal congestion/runny nose, or gastrointestinal symptoms if you're allergic to a food. How can I tell what's causing my allergy? Your ENT can offer treatments that prevent allergy symptoms from occurring when you're exposed to allergens. 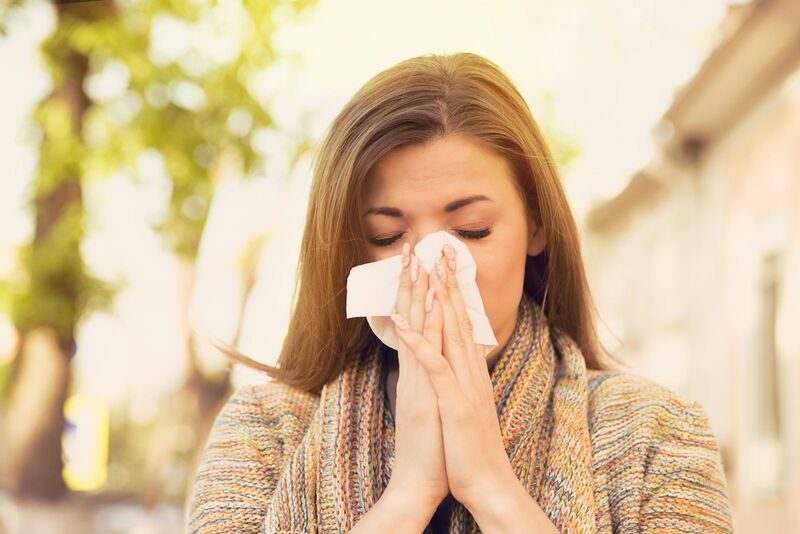 Depending on the type and severity of your allergies, you may benefit from prescription antihistamines, decongestants, nasal corticosteroid sprays, oral corticosteroids, allergy shots, or epinephrine auto-injectors. Making a few changes to your home may also be helpful in reducing allergy flare-ups. 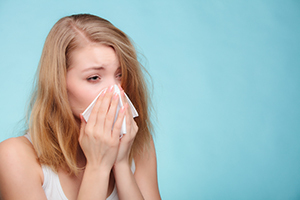 If you're affected by seasonal allergies, you may want to buy an air purifier and avoid opening the windows or using fans during allergy season. Air-conditioners are much better for you than fans, given that they filter out allergens. Vacuuming or mopping floors regularly and removing carpeting can also reduce allergens. Do you have a pet? Although you may not be outright allergic to your furry friend, they can still carry allergens inside after spending time outdoors. Washing your dog often not only decreases dander but also removes allergens. If you have food allergies, it's also important to remove any foods that trigger your symptoms. If you think you may have an allergy, schedule an appointment with the ENTs at West Coast Ear, Nose and Throat by calling (805) 484-5929 for the Camarillo, CA, office, (805) 983-0395 for the Oxnard office, (805) 527-7320 for the Simi Valley office or (805) 379-9646 for the Thousand Oaks office. Find out more about hearing loss, its symptoms and how to treat it. Hearing loss happens more often than you might realize. In fact, you may have some degree of hearing loss and not even know it. Do you find yourself asking people to repeat themselves rather often? Do you have to turn up the radio or your headphones to understand the lyrics of a song? If you said yes to these questions, you could very well have some hearing loss, an issue that should be checked out by our Camarillo, Thousand Oaks, Simi Valley and Ventura County, CA, audiologists and otolaryngologists. 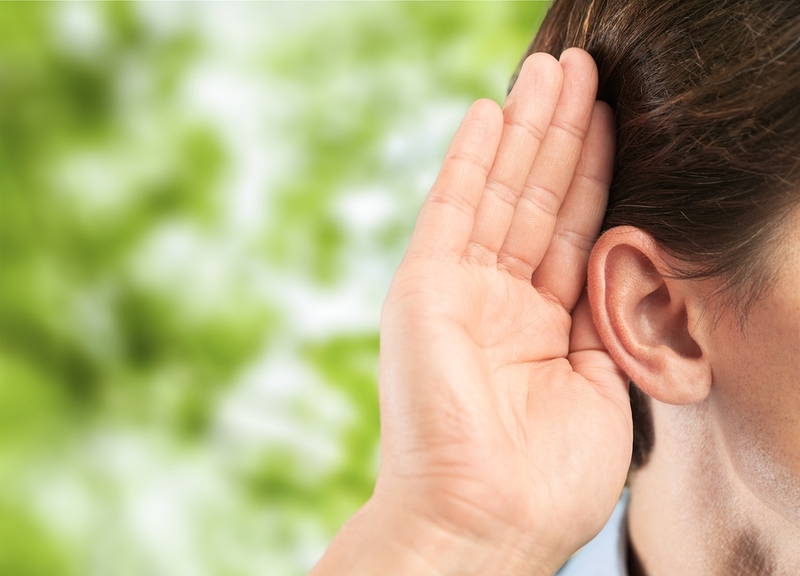 Read below for some answers to the frequently asked questions about hearing loss! A. There are many factors that can contribute to hearing loss. While age is certainly a common reason why hearing loss occurs, other causes include exposure to extreme or excessive noises, birth defects, ear infections, genetics, and even certain cancer treatments. If you have age-related hearing loss, it will most often affect both ears rather than just one. Q. What are the warning signs of hearing loss? Do you feel like people are mumbling around you? Do you have trouble following a conversation if there are several people talking? Do you have to turn up the radio or television to hear what they are saying? Do you sometimes hear a ringing in your ears (tinnitus)? Do you withdrawal from social conversations because you can’t understand what they are saying? Do you have difficulty understanding people in loud environments like a crowded restaurant? If you said “yes” to some of these questions, it’s time to schedule an evaluation with one of our Camarillo audiologists and otolaryngologists. When performing a physical exam, most doctors will not check your hearing. This is why it’s important to come to us for a proper evaluation so that we can determine whether or not you have hearing loss. Q. How is hearing loss diagnosed? A. When you come into our office, we will physically examine both ears. We will also perform simple tests to help us diagnose hearing loss. Pure-tone audiometry is another test used to check for hearing loss. During this test, you will wear headphones and listen to different frequencies and pitches to see what you can and cannot hear. A. A hearing aid is the gold standard for helping you manage your hearing loss. Of course, it’s important to understand that a hearing aid will not cure your hearing loss, it simply amplifies certain sounds to make them easier to hear. There are several different kinds of hearing aids and we would be happy to sit down with you to determine the right one for you. If you are experiencing symptoms of hearing loss, it’s important that you call West Coast Ear, Nose and Throat for an evaluation. We have offices in Camarillo, Thousand Oaks, Simi Valley and Ventura County, CA, to serve you better. Schedule your hearing screening today by calling (805) 379-9646.